Homeschooling is a beautiful freedom that comes with great responsibility. I might argue that teaching our children is not our greatest challenge. It’s deciding what to teach my children that keeps me up at night. History is not my forte. All of the sketchy details and the current climate regarding race in America leaves me at great odds when it comes to deciding what to teach when it comes to history. This year, we set out to study early American history. I struggled with deciding how to present our country’s turbulent history to a sensitive 6 year old. There is so much I want her to know, but so much I do not know myself. 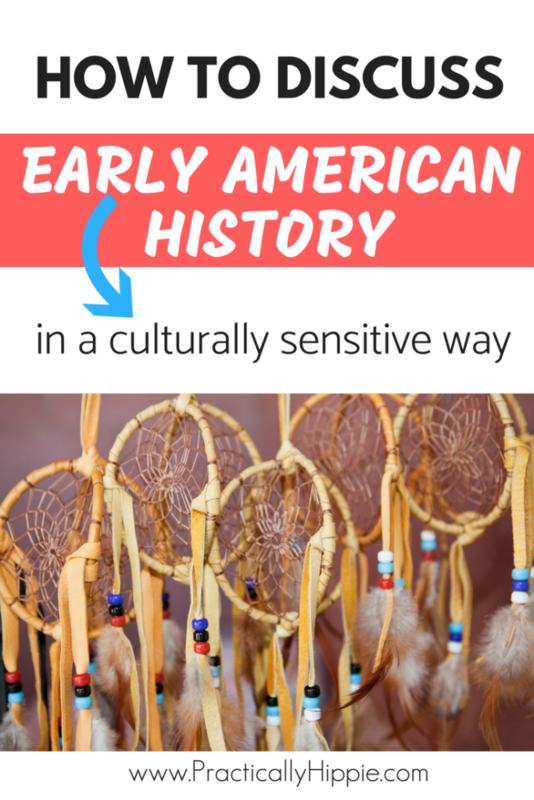 How do we teach history in a culturally sensitive way, with facts and dates, but a realization that most of the materials we have available to learn from have an inherent prejudice? I don’t have the answers. But I do know that in choosing living books and focusing on respect for all people, history speaks for itself. Studying the native people of our country has been beautiful, enlightening, and so sad all at the same time. The First Step: What’s In a Name? So I want to teach my daughter about the people who lived in our country before the first settlers arrived from Europe. But how can I do that when I don’t even know what the politically correct terminology is when referring to these people?! Many of our books were written in a climate where disrespect for these “native Americans” was still culturally acceptable and often the norm, and they use the term “Indian.” I know enough to know I didn’t want to say that. But I didn’t realize that there isn’t really consensus among native people on this terminology. This article explains the dilemma well: choosing one identifying term for such a diverse population isn’t an easy task. Even native people might use different terminology depending on their audience. There are so many options, but which one is right? From my research, it seems that most native people can agree that “Indian” is a terrible choice. Native American is acceptable, but the native people were here on this land long before the construct of America took shape so that too is a misnomer. American Indian also is generally acceptable, though when used as a standalone descriptor it can cause confusion as it implies the person has a heritage from the country of India. Indigenous peoples has gained popularity as a better choice, but seems to be more likely to be used by those hoping to be sensitive to the word choice and not by native people themselves. The most common thread I found is that most native people identify themselves by their tribe. Each tribe has its own culture and language so this isn’t surprising at all. Since their is no right answer, I’ve decided to teach my children all of the acceptable option. I hope that by teaching them to use these terms with respect, we are doing the right thing. And whenever possible, we will refer to a group by their tribal name instead of a general one. We didn’t set aside a week or two for a unit study on Native Americans. We didn’t talk about the first Thanksgiving and make a dreamcatcher and call it a day. Real learning goes deeper than that. Our homeschool is inspired by Charlotte Mason, who believed in the power of the child to take charge of his own education. In this age of Pinterest and e-books and Amazon and everything at our fingertips, it’s so hard not to want to spoon feed a feast of wonderful ideas, themed snacks, and Instagram-worthy handicrafts to our children on every topic. Apparently it’s been hard for teachers to retain from this kind of spoon-feeding for more than 100 years. We’ve moved through this study over the course of a year, in bits and pieces, digesting it ever so slowly. As our school year comes to a close, it’s amazing to watch all of the connections being made. Not by me- the 33 year old trying to prove what I know. But by my 6 year old, demonstrating what she has learned through quality literature through beautiful narrations and interest-led research. We first encountered the Osage tribe in Little House on the Prairie. We learned about reservations, and how over one million native people still living on reservations today. Next, we learned the story of Columbus and his folly in thinking he reached the Indian Ocean that led to the misnomer that still lives on today. We celebrated the wonder of the seasons and witnessed a deep reverence for nature in Thirteen Moons on Turtle’s Back. At Thanksgiving, we talked about The Thanksgiving Story, what really happened, and how we can honor Native Americans and the world by giving thanks for what we have. Squanto, Friend of the Pilgrims taught us about the Patuxet and Wampanoag tribes and put a face at that first Thanksgiving table. We followed Paddle-to-the-Sea on his journey from Lake Nipignon in Canada to the Atlantic Ocean and learned about the Iroquois, Algonquin, and Ojibwa tribes, among others. We told stories like the Legend of the Bluebonnet, the Legend of the Indian Paintbrush, the First Strawberries, Giving Thanks, and Dreamcatcher to better understand some of the tribes we wanted to know more about. Pocahantas captivated our hearts and showed us that little girls can change the world. We met Sitting Bull, a tribal chief and holy man of the Lakota Sioux tribe who made his mark on history at a time of great conflict. We learned that Native Americans are as unique as any Americans. North American Indians showed us 12 different tribes, aspects of their unique culture, and how that continues on today. While living books certainly are the hallmark of our educational style, we also engaged in some beautiful hands-on projects along the way as well. We practiced our whittling skills by carving our own Paddle-to-the-Sea out of soap. Legends came to life as we witnessed the wildflowers bloom across Texas, and pressed a few as treasured keepsakes. We wrote nature-inspired poetry. 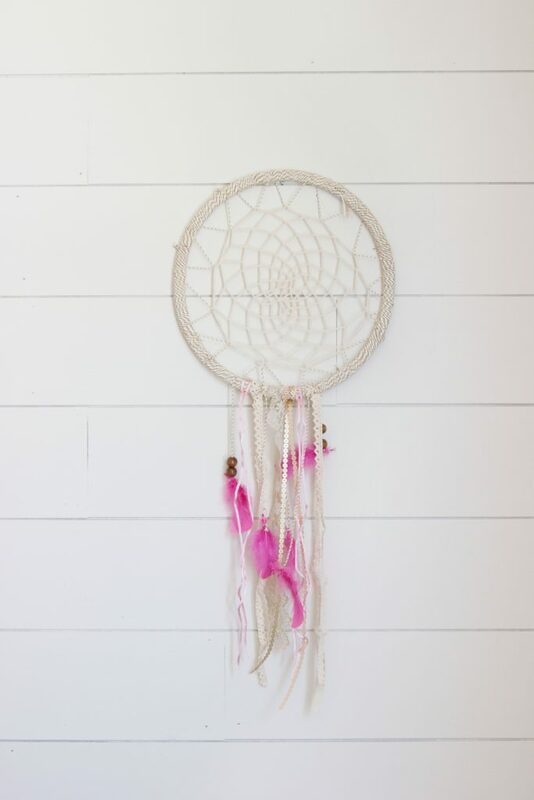 We made this beautiful dreamcatcher. There certainly isn’t one right way to teach early American history. I can only do what is best for my own family. I’ve been so pleased with our journey through this heroic age. I’ve learned so much about teaching sensitive subjects and so much about the beautiful tribes that make up the native people of our country. I might not always have the right words to say or know all the answers, but I do hope that by approaching sensitive subjects with respect, I’m setting a good example for my children. History is about seeing the big picture and where we fit into the world. It’s about finding meaning in this life and a sense of connection to all the people of the world. History is a time to wonder and dream about changing the future. I feel honored to be a guide for our future change makers, and I don’t take that responsibly lightly.